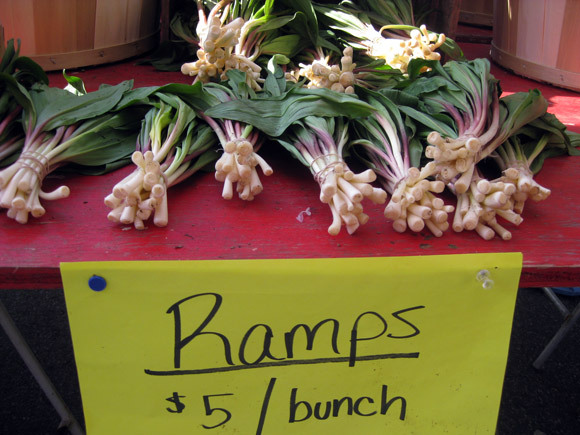 It is ramp (wild leek) season in the US and everytime I see someone add a new ramp recipe on their blog, I dream about being somewhere that I can buy fresh ramps. A few weeks ago, there was a Best Spring Alliums contest on Food52, and the best recipe went to ramp carbonara. It sounds really awesome. Unfortunately, I can't test the recipe since there are no ramps in the Marshall Islands so I have to wait another year or two to be able to enjoy this amazing spring delicacy. However, there is one ramp recipe I developed last year and I would like to share it with you. 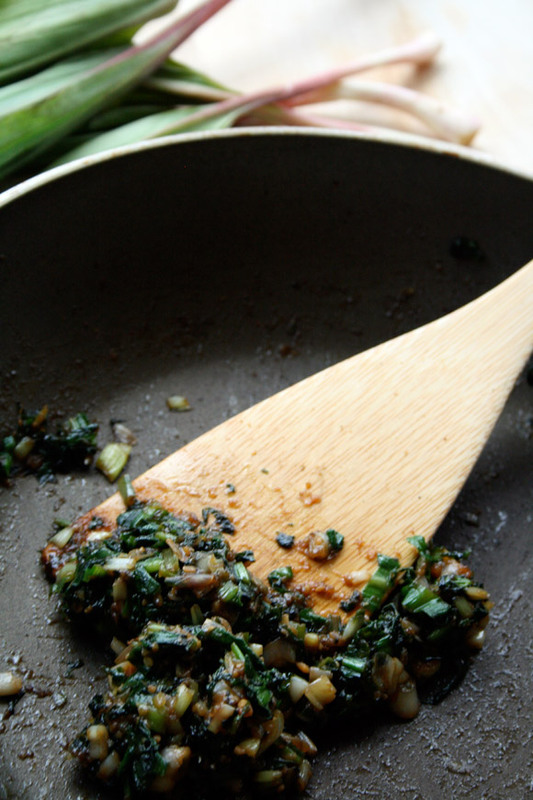 Heat oil in a medium frying pan and add minced ramps and cook until wilted. 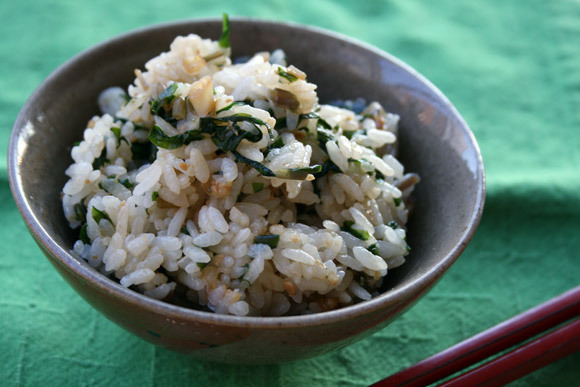 Put the rice in a medium pot if you cook it on the stove; or in a rice cooker bowl. Add miso and sugar and mix with a wooden spatula until all ingredients are incorporated completely. Keep cooking another few mintues until miso is slightly colored. In a large bowl, mix hot rice and miso and ramp mix.